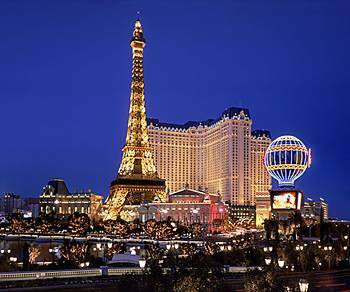 Opened in September of 1999, Paris was originally owned by Ballys Entertainment who was then owned by Hilton but was sold to Harrahs which became Caesars. Anyway, the current ownership is Caesar's Entertainment. 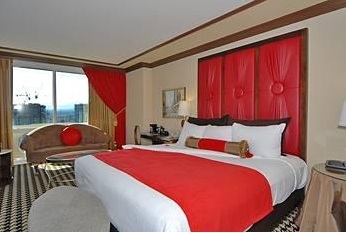 Your Total Rewards card is accepted here and can be played at the other Caesars Entertainment Properties. 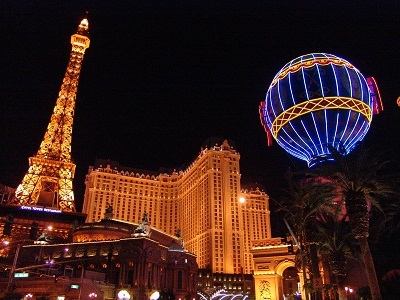 The Eiffel Tower and Montgolfier Balloon are among the most famous landmarks in Las Vegas. 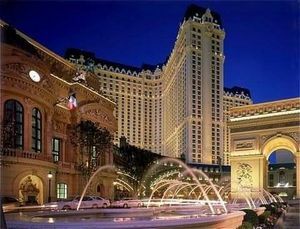 The front of the Resort is designed to resemble The Paris Opera House. The Arc de Triomphe is a 2/3 replica (arch) and was used in a New Years Eve Stunt performed by Robbie Madison on a motorcycle. 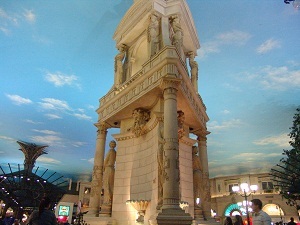 The fountain in the front is a replica of La Fontaine des Mers in Paris. 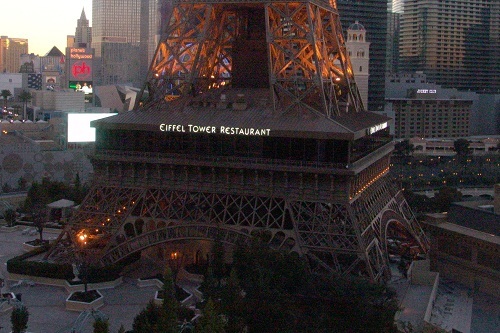 Originally, this hotel was marketed toward the Gay and Lesbian population and was actually named Gay Paris but that name was later dropped and it is known as Paris Today. 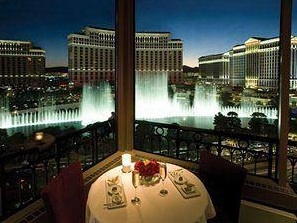 The Hotel has 2916 guest rooms. 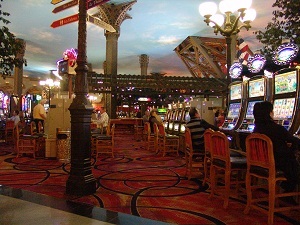 The Open Air feel of the Casino is the most unique in all of Las Vegas. Even the air seems cleaner. 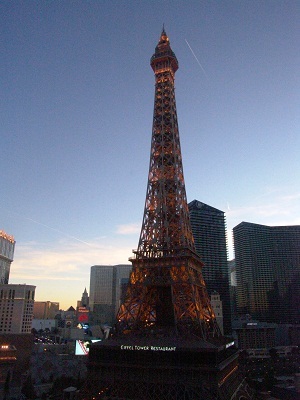 The Paris Resort Swimming Pool is surrounded by high rise guest rooms. The pool was completely refurbished in January 2012. 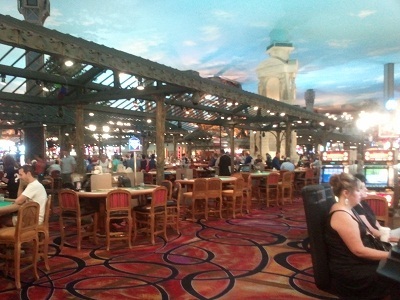 Sports book: Large all digital betting boards good lcd tvs and great viewing big screens. Book can be much more smoky than the rest of the casino. The book staff is very friendly. 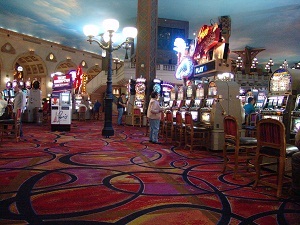 All the popular Slots, Video Poker, Live keno (Shares seats with sports book), Keno machines, Penny slots, Baccarat, Black Jack (a whole section of single deck), Casino War, 3 card Poker, Let it Ride, Pai Gow poker, Rapid Roulette, Roulette, Caribbean Stud, Craps, Progressive Slots. 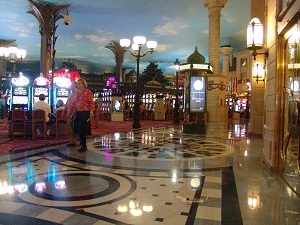 Unique to this casino: Paris Skyline and décor is incredible. 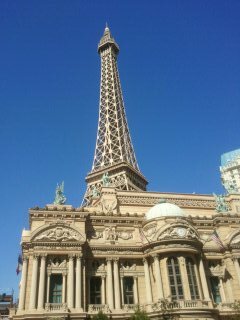 The Location cannot be beat anywhere in Las Vegas, its in the newer section of Hotels plus it is now across the street from the very newest developments. 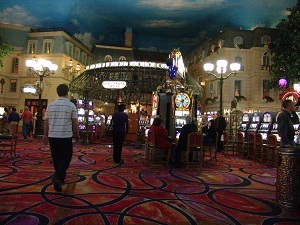 You can walk indoors to Ballys from Paris. 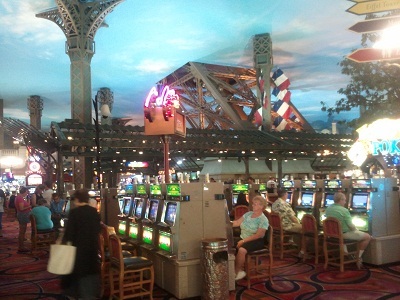 Smoke Ventilation: Great, it might be the blue sky on the ceiling that makes You think You are outdoors that makes the air seem cleaner than most all other Casinos. 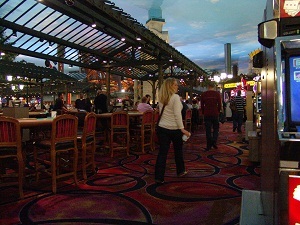 Cocktail Service: Great, The Paris Casino floor is set up perfect for Cocktail servers to easily see all of Their section and serve You quickly. Restrooms: Modern and mostly clean. Use the ones near the hotel registration desk they are extremely private and very modern.